CINCINNATI, OH - Duke Energy today announced contributions of $5,000 each to Northern Kentucky Emergency Management Agencies from Boone, Kenton, Campbell, Grant and Pendleton counties. 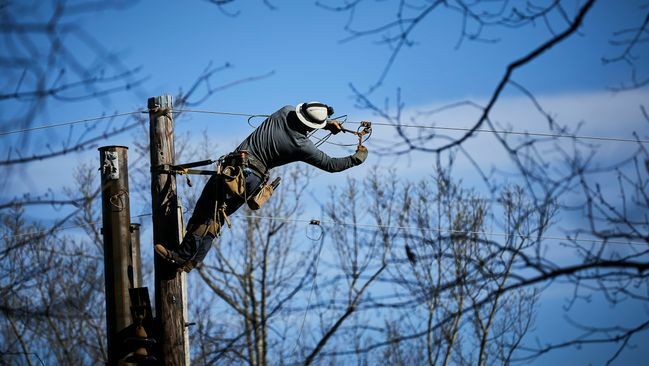 Agency teams in these counties, all located within Duke Energy's service territory, often work closely with the company in various ways throughout the year, including during storm restoration efforts and natural disasters. The donations were made Jan. 15 during the quarterly meeting for KY Emergency Management Area 6, hosted at the Duke Energy Envision Center in Erlanger, Ky. KYEM Area 6 Office encompasses 20 counties, many of which were represented at the meeting. "Duke Energy values the great working relationship we have with all of our area emergency management teams," said Rhonda Whitaker, Duke Energy community relations manager for Kentucky. "Over the years, they have assisted us on a multitude of different emergencies and requests. Our solid partnership is the key to our success."
Kentucky's State Emergency Director Mike Dossett was on hand for the meeting and check presentation, as well as Kentucky State Area 6 Manager James Sparks. Duke Energy Kentucky's operations provide about 1,000 megawatts of owned electric capacity to approximately 140,000 customers in a 719-square-mile area. The company also provides natural gas service to roughly 100,000 customers in Northern Kentucky.